Kuwait Simple salad is just that. 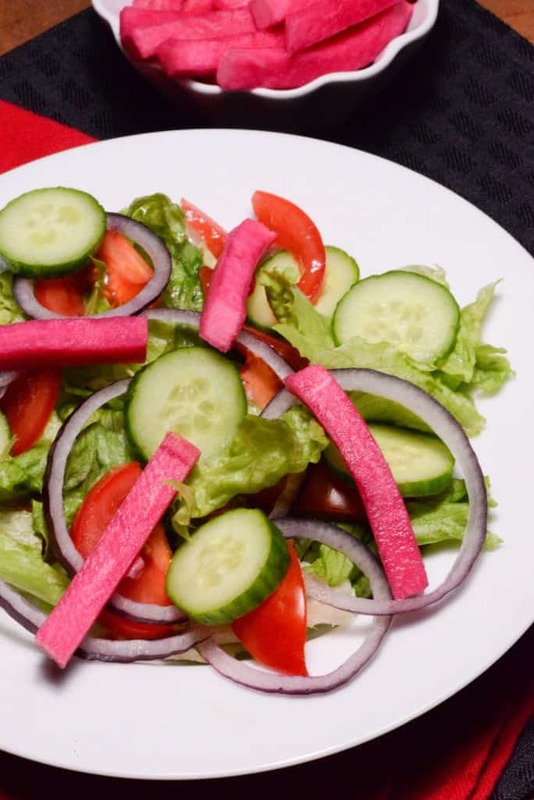 A typical salad that has some romaine lettuce, tomato, cucumber onion and topped with a few pieces of that delicious turnip pickle. The dressing is just a simple squeeze of lemon and a drizzle of some olive oil. Salads are often served with meals in Kuwait and many of the salads we have made for other countries in the region are also loved in Kuwait. 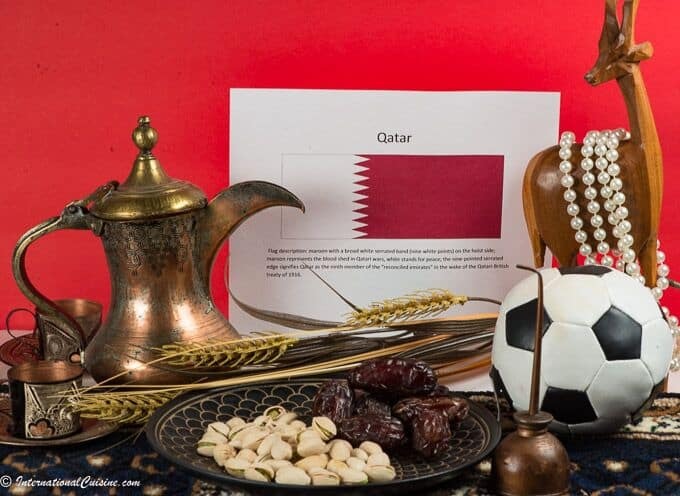 Salads like Arabic Salad, fattoush, or sumac salad, any of these would also be an appropriate choice to represent Kuwait.